This little fella is incredibly cute. 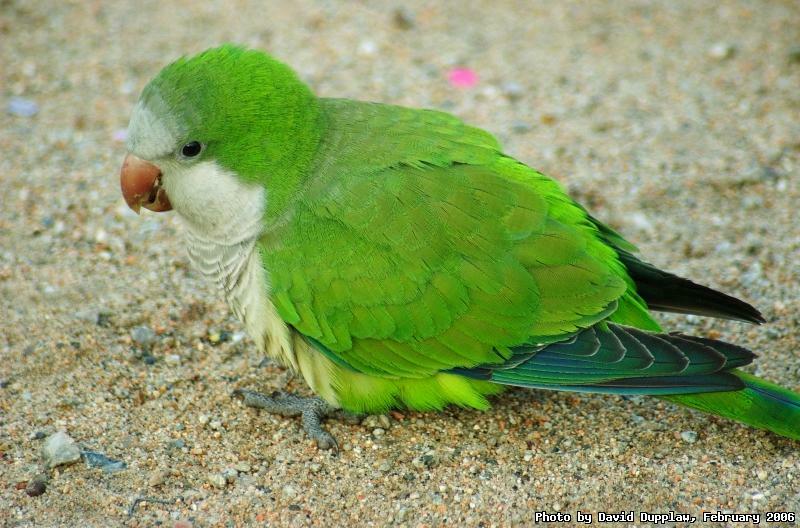 He is one of the many Quaker Parrots that inhabit Barcelona. They were originally let out from being caged because their owners got fed up with their tweeting. From about 50 they grew to around 2000 birds in 2003. They must be even more now, as they seemed to be everywhere. They seemed very nice birds, but they are so successful they are driving out the other local birds. Perhaps not the best photo, but probably the best I got! Thanks for the comments left yesterday. I am feeling alot better now, so I will be back in work tomorrow. I have pretty much managed to catch up on all my blogs too. Phwew!